Shown above, students shower each other with positivity through encouraging messages. In the wake of the Morey Two bathroom repainting, administration met with students to discuss how best to reintroduce a safe, anonymous space on campus. Dean of Students Matthew Burns held discussions last Tuesday and Wednesday to get community input. Instead of sending out an email to all undergraduates, Burns contacted a select few campus organizations that he said he thought would best represent the writings on the walls. Student representatives from Active Minds, It’s on Us, and College Feminists were present for both discussions, and members of SEGway were there on Wednesday. Many hailed the bathroom as a positive, supportive location on campus. Many ideas were floated in Tuesday night’s discussion, held in Douglass 401. Some were well-received, but others, like replacing the space with a whiteboard and expo markers elsewhere on campus, were quickly abandoned. One suggestion asked that the walls get photographed before each repainting and placed in an archive somewhere, but some students felt this would disrupt privacy. Wednesday night’s discussion, in Wilson Commons 121, continued to explore ideas surrounding the space, and focused on the role of administration. The University can’t allow graffiti that incites violence to remain untouched on campus, Burns said. Burns also asked students if there was a time they would want administration to step in with graffiti. If a student sees their own name written on the wall, for example, do they get to ask administration to paint over that comment? Students at the meeting supported a self-policing space, with other students acting as moderators for what can and can’t go on the walls. 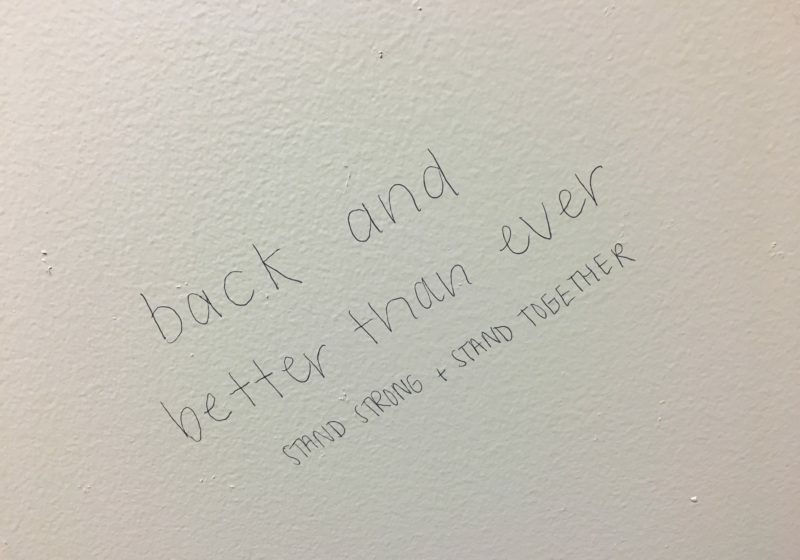 Many students said there was no need for administration involvement beyond alerting bathroom-goers when it will be repainted, saying students could just cross out or erase anything that made them uncomfortable by themselves. “It feels like the space was ours, and now it’s been taken away,” junior Lydia Borsi said. 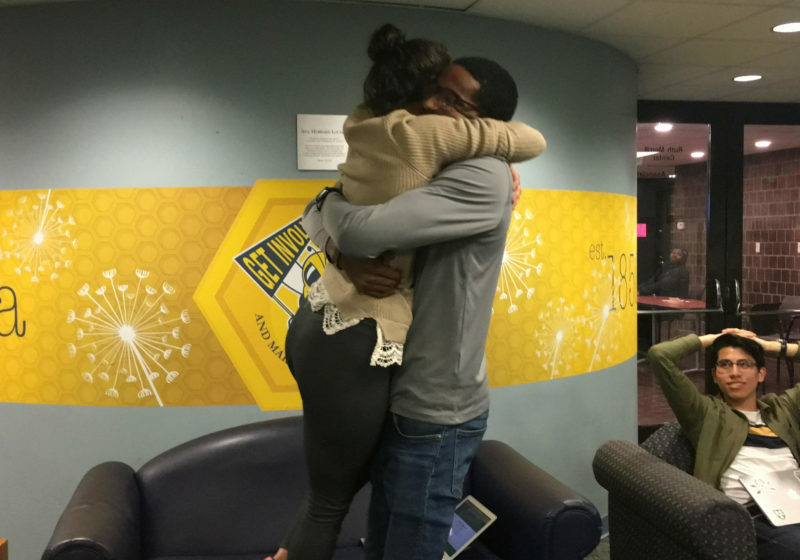 “It was like the one place on campus that wasn’t the University’s […] it wasn’t advertised, it was people being real,” junior Britney Waldrop said. Dozens of messages are now on the walls of the Morey bathroom once again, including the positivity unicorn. Several angrily admonished the University administration for repainting the bathroom without any communication or effort to address the issues in the lost messages. Others called the repainting a fresh start, and put words of support out. 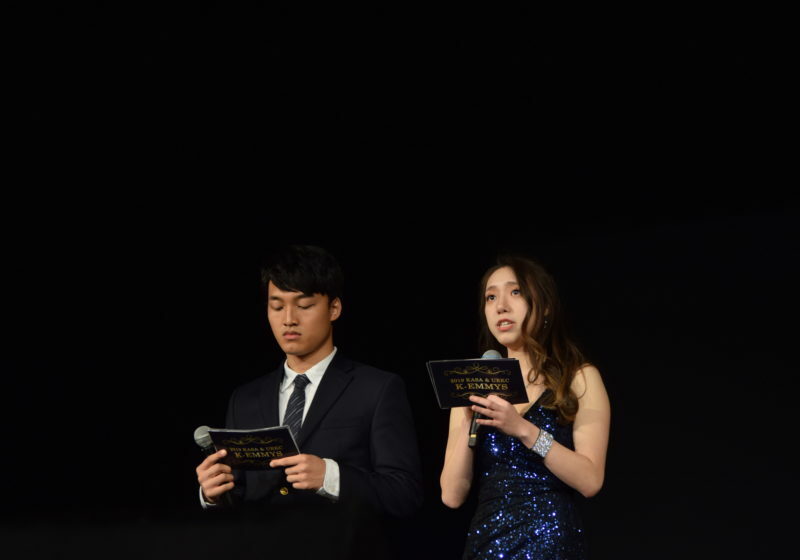 First-year Brendon Tran contributed reporting on this piece.